After reading the fantastic blog ‘Overview of the Australian Salesforce Market’ by Nathan Masters, covering the New Zealand and Australian Salesforce Markets, I was asked by Salesforce Ben if I would look into the UK Markets. 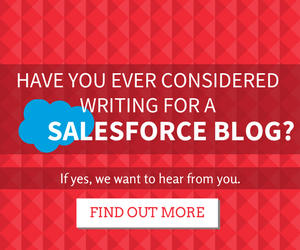 So here goes: your ultimate guide to the Salesforce scene in the United Kingdom. I will be focusing on Salesforce professionals relocating to the UK, the preparation required, what your options are, and a few other tips thrown in along the way. The latest statistics indicate that there are 2.15 million EU migrants working in the UK. Unfortunately, I do not have the foggiest idea how many of these are Salesforce professionals, but what it does show is that this is a prime country for European citizens looking to progress their career. Having recruited and relocated Salesforce professionals from all across Europe, I do feel that the UK has the greatest opportunity when it comes to career advancement, salary, and projects. Whether you’re relocating down the road or across the pond, it’s always stressful. You can’t get away from the hassle that comes with moving from your comfy, furnished home, especially when that new home may be in a completely new country. It’s a big deal! So, you’ve made your mind up and are 100% certain that you are relocating to the UK; what do you do first? If you do not prepare then you will struggle, maybe not to get a job, but you will struggle to have a smooth transition and it will incur problems you can really do without during your move. 1. Am i eligible to work in the UK? 2. Have I worked out if it will economically work for me? You will find that the cost of living in the UK is often higher than most countries in Europe, bar the Nordic nations. It is, however, balanced out by the often higher salaries for Salesforce professionals, giving in to the high demand, low supply salary model. Make sure you also familiarise yourself with UK tax codes. They can be found here: https://www.gov.uk/tax-codes/overview . A salary calculator can really help you figure out how much you are actually going to be bringing home to the table. Relocating is expensive, so bear this in mind before committing to a start date with a new employer. The absolute last thing you want is to mentally be on the plane and strolling in to the office on your first day when the realisation of costs kick in. This could amount to thousands of pounds, so unless you have that expenditure planned, it could be difficult to get everything sorted. 3. Where do you even start to look for Salesforce jobs in the UK? Great, your visa and eligibility check out! Next up, look into which locations interest you in the UK. 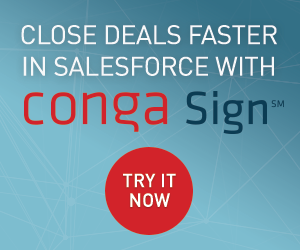 Most Salesforce professionals gravitate towards London, soaking up the city lights, skyscrapers, and world-renowned shopping streets, yet this is not your only option. The North East is rapidly increasing its Salesforce presence, with many Partners having satellite and HQ offices in Northern England such as Make Positive and BrightGen, two dominant Implementation Partners, along with areas such as Reading and Surrey, which are home to global Salesforce sites such as Canon, Sony and Vodafone. Assessing the results of LinkedIn searches, and those made in my network, ‘Salesforce’ brings up more than 85,000 results, with London based individuals compromising approximately one third of the results in the UK (28,000), meaning there is a whopping 57,000+ results based elsewhere. 4. How do i prepare my CV? There are three types of CV that we receive; the good, the bad, and … the Europass. The Europass CV has been the go-to CV format for many European citizens since 2005. This was once seen as a spark of brilliance, yet now I, and many other recruiters, shiver when we open a Europass CV. What is this monstrosity, I hear you ask? Well, whilst a Europass CV puts many a candidate on an equal playing field for first impressions, it also eliminates the creativity element that can, and should, be evident on this vital document. Your CV has the power to either open the employer’s door, or keep it firmly closed. Leaving aside the fact that it is a nightmare for recruiters to format this document with their company branding, it furthermore limits the amount of information you can accredit to a particular section, and should you wish to take any sections out, it has a habit of messing up the whole page! Anyway, Europass rant over; the secret to a good CV is that there is genuinely no secret. You need it to show off your skillset, be professional, give the reader enough information about your skills and competencies, and have a clear and concise layout. Then hey; you have our attention! The UK is rife with Partners and End Users crying out for talented professionals, and they are pretty much open to anyone from across the globe, visa permitting. So great, there’s the demand, but the move truly won’t work unless the company is ideal for you. With a combined network of ten years within the Salesforce recruitment world, we at MC Partners, would be well positioned to introduce you to a Partner or End client best suited to who you are, and to your aspirations. There have been a handful of acquisitions in the Partner network over the past few years whereby the Top Tier Consulting firms have swallowed up the likes of Cloud Sherpas, Tquila, and Bluewolf, to name a few. My gut feeling is that 2016 will see one more medium-sized Partner acquired by Deloitte, Accenture, IBM, etc., so if you want to avoid working for a large consulting firm, make sure you inquire regarding their future plans for investment/a takeover. A multitude of companies are becoming increasingly industry specific, with consulting firms dedicated to FS, Healthcare, Start-ups, Not for Profit, amongst many other disciplines. This is great, as it differentiates them from the competition and allows a business to truly cover a market and be the ‘go to’ supplier for that industry. Don’t get me wrong; a lot of Partners I have worked with other the years aren’t too specific and they have seen an inordinate amount of growth, yet it is good to know that you, as a potential employee, do not just have the choice between Partner or End User; you can now chose the industry. Accenture – Global SI; recently acquired two key Salesforce Partners (Tquila and Cloud Sherpas) further positioning themselves as the largest SFDC implementer and integrator. PwC – Recent acquisition of Outbox drastically strengthens their European presence. Alpha FMC – Financial Services based Partner with an impressive list of clientele. Offices across 5 major financial centres; London, NY, Paris, The Hague, and Luxembourg. Acumen Solutions – Established in the US, Acumen are one of the leading Partners, operating globally across Retail, Media, Manufacturing, and a handful more sectors. Mavens Consulting – Also founded in the US, Mavens are focused predominantly on the Healthcare industry, and are undoubtedly leading the Salesforce efforts for this sector in the UK. IBM – With the recent acquisition of Bluewolf, they position themselves as a dominant force in the Global SF market. EMPAUA – Leading the way for Salesforce tailored to start-ups. Having received recent funding from the Salesforce Foundation, they are quickly growing across Europe. Tata Consultancy Services – Building a highly reputable team of senior level Salesforce staff. Global strategic Salesforce Partner offering cost effective, easy to deploy, Salesforce solutions. Please note that to work in the Partner network, your English skills need to be at business level and you would need to be prepared to travel up and down the country, so keep this in mind when entering into the interview process. Burberry – One of the most impressive Salesforce implementations to date, Burberry harnesses the power of Salesforce to create a holistic view of the customer, and connect customers across their entire business platform. Kuoni – As a long standing Salesforce user, Kuoni utilises the Sales and Service Cloud to simplify interaction with the company’s huge number of suppliers and independent travel agents. Just Eat – The ever popular online food channel moved away from spreadsheets and time-consuming processes when Salesforce was implemented. One of the key objectives was to increase collaboration across their Salesforce and encourage idea sharing across the business. Financial Times – One of the largest Service Cloud projects in Europe, The Financial Times moved in their customer service agents onto the platform to track and resolve issues quickly. 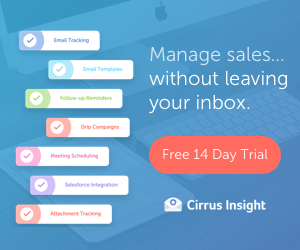 They also use Sales Cloud for their ever-increasing subscriber data. Working for an End User in London is certainly a good choice as there are new, exciting implementations cropping up on a daily basis. My own advice; be open to both. The End User world will enable you to settle in to the UK and give you daily work, and a reliable schedule, yet the Partner network is career advancing in the sense that you will work on multiple projects throughout the year. Certainly gaining exposure to different environments, technologies, and size of user base would give you the upper hand when competing for a new position, as well as amplifying your credibility in the SFDC community. Be prepared to fly to the UK. Very few offers have been granted over video conferencing, so if you want this move, you have to be committed. A word of warning: such excursions are likely to be self-expensed, so please be aware of potential costs. Typical interview process for UK clients will be one telephone or video screening with the recruitment or HR team, and then on to a face-to-face meeting with the technical team/Salesforce sponsor to ascertain the extent of your SFDC ability. You could wrap up an offer within two weeks of entering in to a recruitment process with either a Partner or End Client so take this timeframe into consideration. For more information on relocating to the UK from Europe or the US, please feel free to get in touch with the MC Partners Cloud team via email at cloud@mcpartners.co.uk. Great article. I sometimes have the feeling that the number of contract positions is very small compared with the number of permanent positions, at least in the Salesforce UK market. What do you think ? I would say the ratio is certainly leaning more towards Permanent however there are a lot of contract vacancies that do not get advertised so it’s all about speaking with specialized Salesforce agents who know the contract space. Do you know what company offers sponsorships Tier 2 VISA? I would like to work in UK and I’m from the Philippines. I already went to UK thrice by virtue of business travels provided by our company as we have our IT office based in London. You can always check out https://www.comparethejobboards.com for the largest selection of UK jobs and use their online CV generation tool if you need guidance!